Xplosive Entertainment can produce for your upcoming event a professional and completely personalized audio production. No two events are the same, therefore no two audio edits are ever the same either. 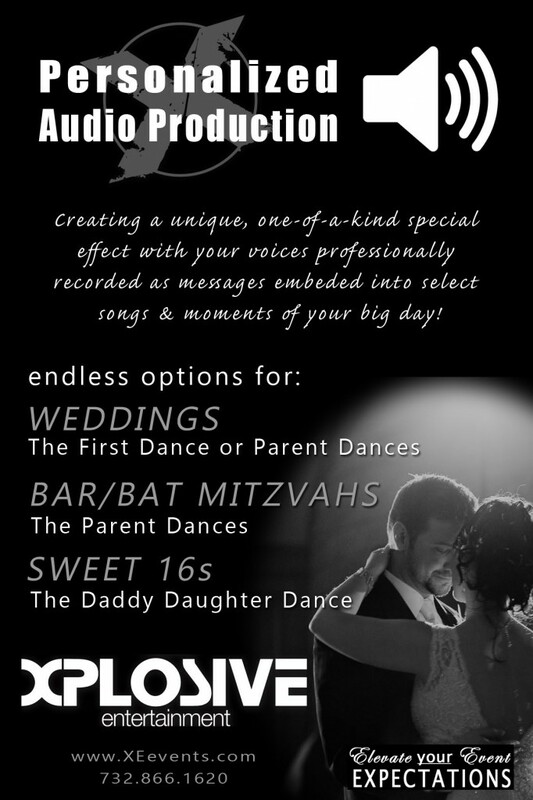 From elegant, classy, and memorable first dance tracks with your voices embedded into your special song, through radio styled drops and club styled shout outs, our on staff audio engineer will create for you an audible masterpiece set to the tone and vision of your upcoming event.